Now is the best time for You to have your central heating installation in Shepherds Bush W12 done! 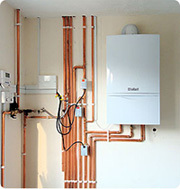 We install all kind of boilers and carry out regular boiler installation work in Shepherds Bush W12. Our prices are fair and consistent for the labour and materials. We keep central heating installation cost down while providing the highest quality service every time.